Happy Holidays everyone! Time flies by so fast that I have been pretty caught up with all my late November to December happenings. Apart from Christmas, the most unforgettable this month is when our yaya of almost 4 years left us without any warning, just a farewell letter we found on the corner of our catch all desk. 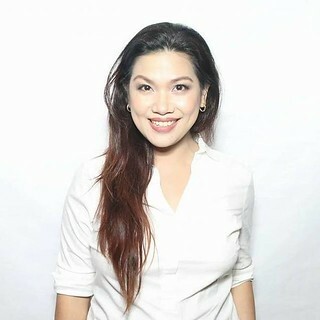 Grabe siya, di man lang nagpaalam, papayagan naman. Magpapasko pa namaaaan. That said, a lot of planned family lunches and dinners I offered to host were canceled, because, no help! I finished all my work leaves and even had no-pay leaves, brought baby to work too, nagulo lahat. Even my planned menu for Noche Buena and Christmas lunch were changed. 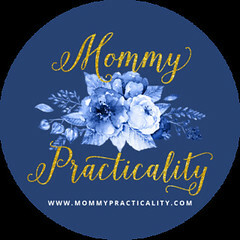 I can't cook in all my momm-chef glory because of two reasons: 1) I have NO HELP around to watch my baby while I do the cooking; 2) Even if I can cook, I have NOT ENOUGH TIME. No Help. No Time. Gusto ko pa naman ng Kare-Kare, Crispy Pata, Lechon Kawali, Leche Flan, Macaroni Salad and Spaghetti. Buti na lang, as if the heavens heard my inner cry for help and panic in my heart, I discovered Purefoods Heat And Eat line: Crispy Pata and Lechon Kawali. I'm sure excited ka na rin to know how it tastes kasi I think it's the first Crispy Pata na Heat and Eat lang perfect for busy moms like us who wish to give the best and spend time in the kitchen to prepare the yummiest food for the family, yet lack the required hours to do so. So the solution to this is to seek for convenience yet not sacrificing the quality or taste diba? Parang yung sa mga favorite restaurants na dating lang ang peg. Momshies.. 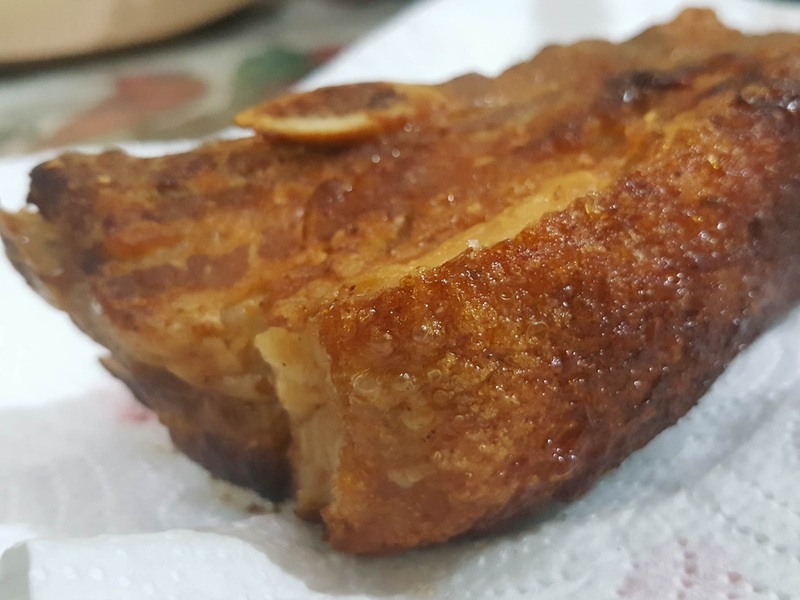 ACHIEVE na achieve ang Crispy Pata and Lechon Kawali! All it took me was 10 to 20 minutes to cook it in Turbo or Pan Fry. Saves you Effort and Time. 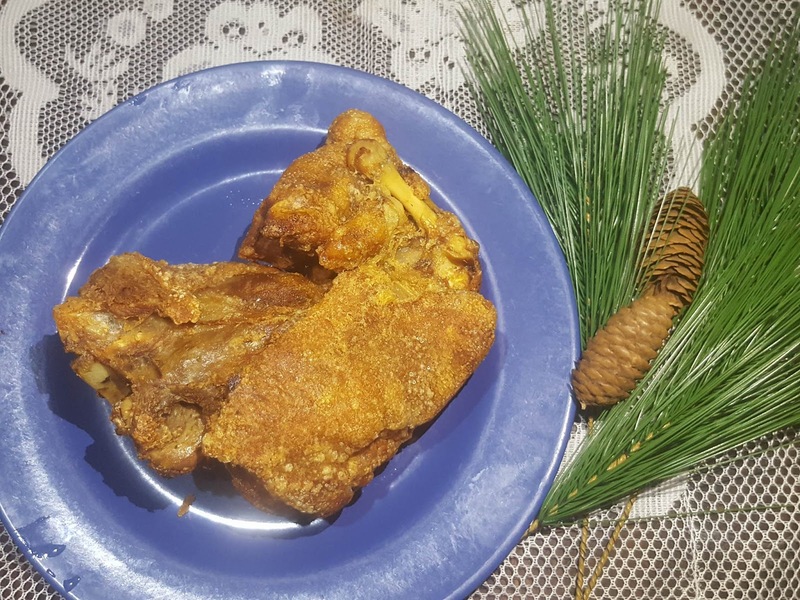 Imagine, you don't have to go and dress up to go to malls and eat in restaurants for a Crispy Pata, you can have it almost instantly at the convenience of your home. Sa ating mga Pinoy families, Crispy Pata is like the highlight of our handaan right? In movies or theater, main cast siya. You save effort and time in preparing it to achieve the crispiness of its balat, my favorite! 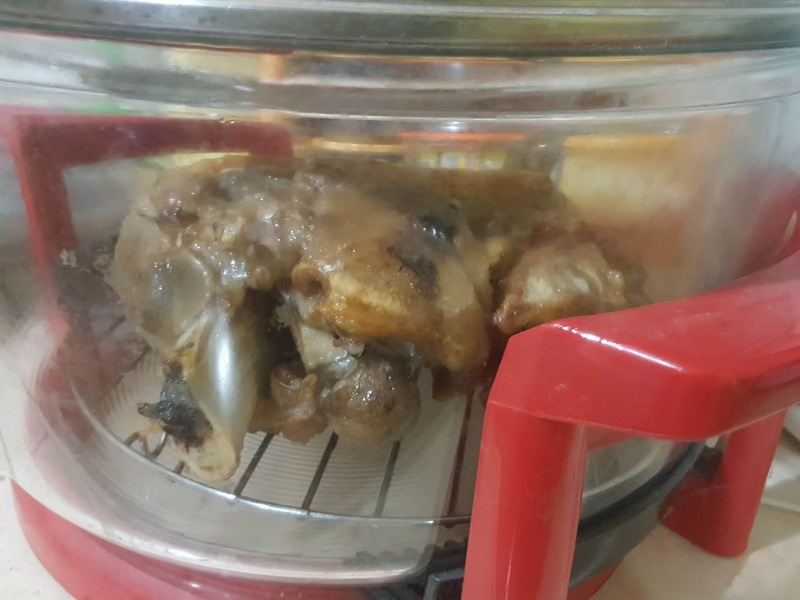 It saves you time from pressure cooking the pata, seasoning and freezing it for hours, then cooking it. Just buy Purefoods Heat and Eat, turbo or pan fry it then voila! Super Lutong - Anything malutong to me is simply irresistible. Sarap lutong anytime, all the time. You know the feeling of attacking a crispy pata in restaurants the moment your waiter serves it on the table? You attack the balat first so you're assured you devour it while it's crispy? Ganyang ganyan kalutong ang Purefoods Heat and Eat Crispy Pata and Lechon Kawali. Tender And Tasty - And kapag ubos na ang balat, since the meat is tasty and also tender. Both variants are already fully cooked and ready to eat after heating them. The taste didn't disappoint me and the rest of the family at all. It has the assurance and consistency of restaurant quality favorites. Easy To Cook, Easier To Eat- Just reheat these frozen meats via Turbo or Pan Fry for 10 to 20 minutes then serve. 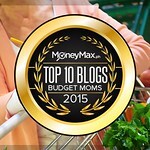 Inexpensive And Practical - This is what surprised me the most. 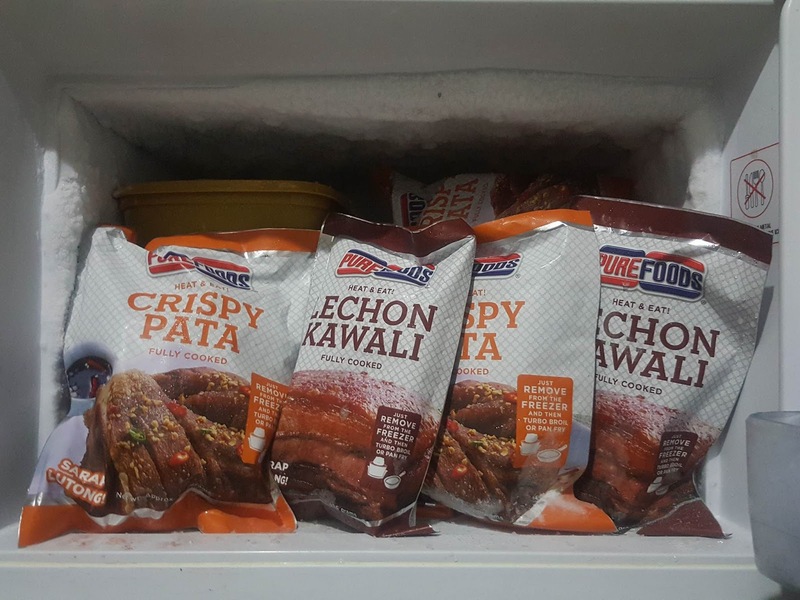 The Purefoods Heat And Eat variants are affordably priced at Php 230.00 (for Lechon Kawali at 425g per bag) and Php 325.00 (for Crispy Pata at 900g per bag). If you eat at restaurants, it would definitely cost you more than these price points. 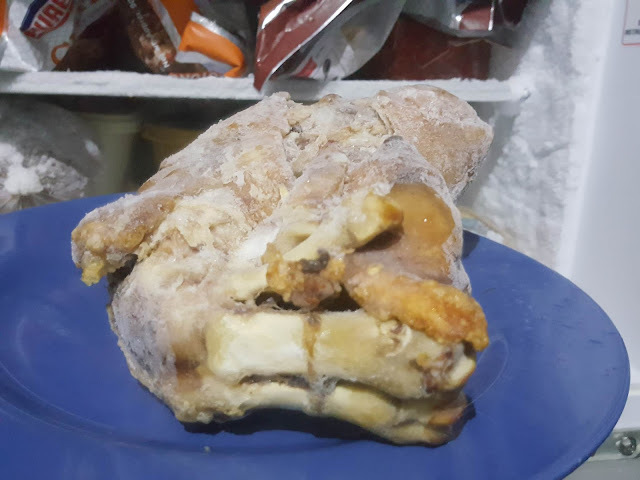 Buying meat from the wet market, may save you some pesos, but will take so much effort and time to prepare and cook them. So mas practical if you buy Purefoods Heat And Eat na lang right? I can say so much more pero ito na lang, if you buy and try Purefoods Heat And Eat Crispy Pata or Lechon Kawali, hindi mo pagsisisihan, baka makarami ka pa and even give as a gift to in laws or friends, which I did when I shared these during our Christmas lunch with the Santoses. They all raved about how crispy and tasty these new discoveries of mine are! 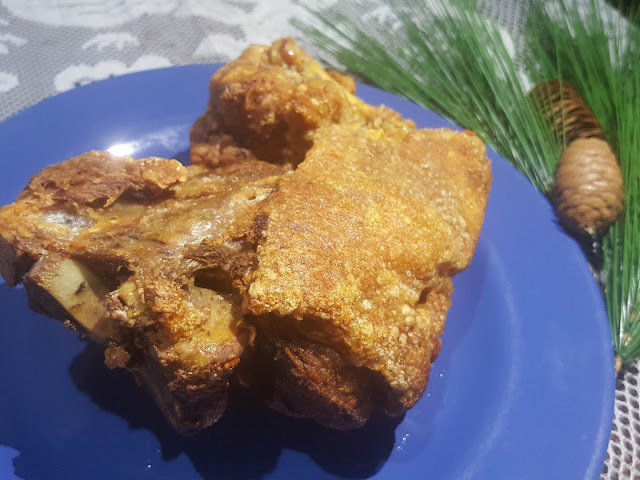 Ang happy ko pa because, you don't need to wait for a special occasion like Noche Buena or Media Noche this NYE to have Crispy Pata or Lechon Kawali. With its availability in Monterey Meatshops and major supermarkets in Luzon, you can have it anytime of the year! It's clearly made for convenience seeker in all of us! For updates on Purefoods Heat And Eat (availability, promo, price and future additional exciting variants) like them on Facebook and follow them on Instagram.